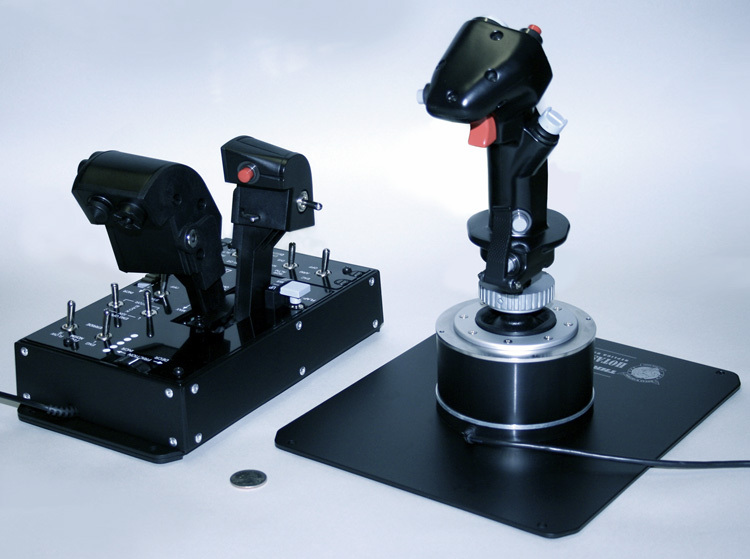 Today SimHQ takes an exclusive look at the new Thrustmaster HOTAS Warthog. We first discussed the Warthog after getting hands-on time with it at Thrustmaster’s Invitation-Only Preview Event during E3Expo 2010. A few more details were coveredin a follow-up article. 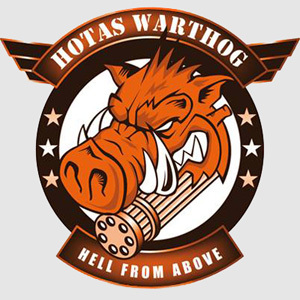 If you haven’t read those articles you will want to, because this Review will focus on new topics: the Warthog HOTAS mechanical design, programming software, and comparisons with other HOTAS systems. The HOTAS Warthog’s predecessor, the HOTAS Cougar, has developed a reputation for “needing” third-party mods to allow its continued operation as a high-quality dependable HOTAS system. As popular as the HOTAS Cougar was, it had some engineering inconsistencies that Thrustmaster has acknowledged, and they have endeavored to learn, evolve, and make things right with the HOTAS Warthog. 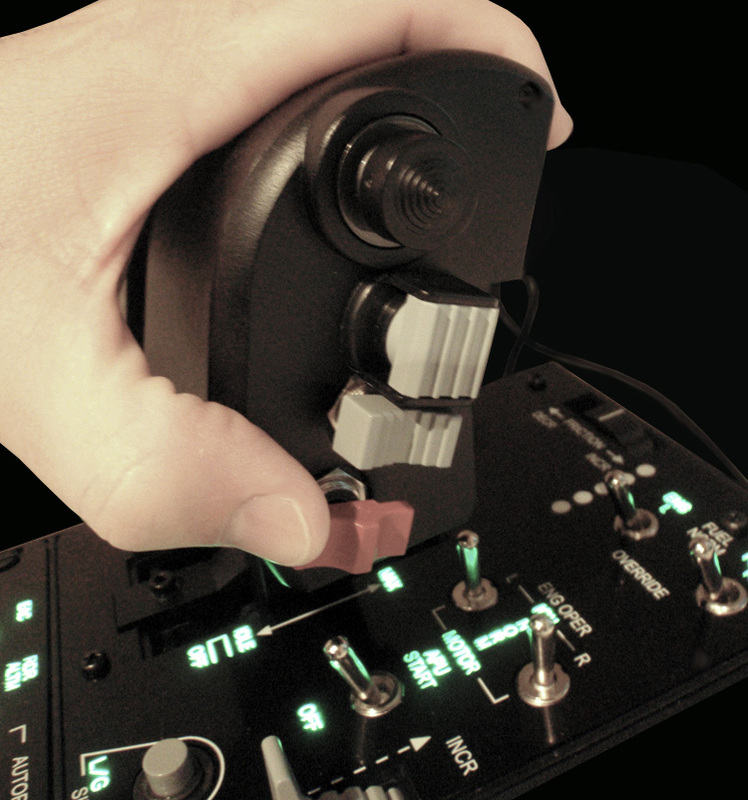 In addition to the intended improvements, Thrustmaster has developed the HOTAS Warthog to be one of the most feature-rich and technically impressive consumer flight controllers ever. 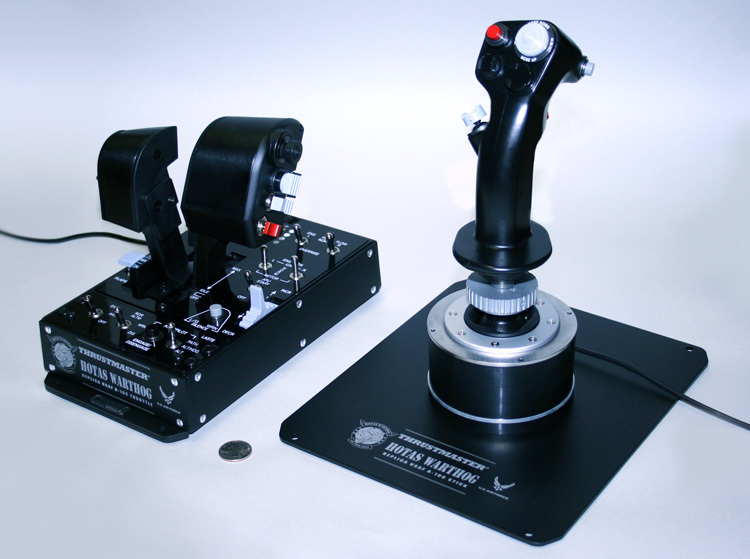 With an MSRP of $500 USD and a street price around $400 USD, one would hope that the flight sim community would get a product that satisfies all of their requirements. Let’s explore what one gets for their money.